If you’re following me on Instagram, you might recall that a certain grey box in the mail got me very excited this week. It was my very first set of goodies from Judith Hobby Clothing! Packages in the mail always get me excited! Judith Hobby Clothing is a Dubai product! 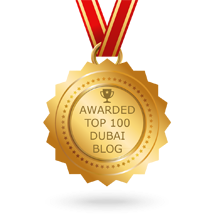 The brand is the creative genius of Judith Hobby, a British expat living in Dubai. Judith felt the UAE region was lacking affordable fashion-forward clothing that had today’s women in mind, and in 2011 Judith Hobby Clothing was born. I bought Judith Hobby Clothing’s Sarah Top in black and grey. This is a very simple top that can easily be dressed up with a statement necklace or worn casually scrunched up with a funky belt. What amazed me was the quality of the fabric. You have to touch the soft jersey to believe it. It feels like a second skin, and I’ve been wearing these all week! I also got the Fiona Trousers. 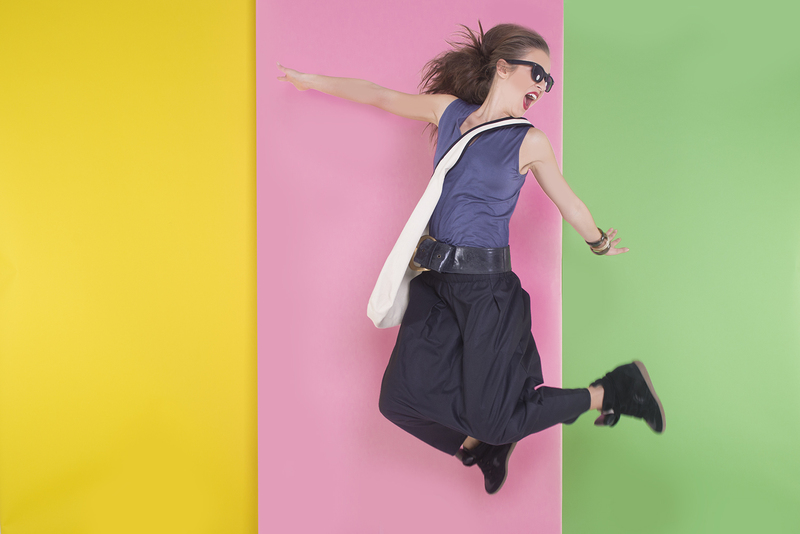 They are a retake on harem pants, and are versatile enough to wear to work with a formal blazer. To funk it up, I also bought the wide Black Leather Belt. I think this has the ability to add a quirky edge to any given outfit. What makes Judith Hobby unique? First of all, there are no dress sizes! Made of extra soft comfy jerseys and butter crepes, each piece of Judith Hobby Clothing is ‘one-size-fits-all’, and can easily accommodate a size 8 to a 14. This makes it so easy to shop, and also serves as an ego-boost for the size-conscious. Secondly, Judith Hobby Clothing is super stylish! Key words that come to mind are flattering, edgy, easy-to-wear and fashion-forward. Judith Hobby Clothing’s Spring/Summer 2015 range has just been launched on the website. The stunning Olivia Jumpsuit, (AED 450) has a ruched bodice, which helps to create a dramatic, draped neckline, while the elasticated waist and fuller leg ensures that this striking jumpsuit is as comfortable as it is stylish. Made from Cotton Jersey fabric, the Olivia Jumpsuit is available in black, red, navy and green. The ultra-chic, ultra-bold Debra Skirt, (AED 400) and Top, (AED 325) are both made from high quality satin, which is a new fabric addition to Judith Hobby Clothing. The full balloon skirt features flattering pleats, a tapered hemline and fun pockets and promises to turn heads whether worn in the black, mustard, bright pink emerald colour palette available. The Debra Top, which features a rounded neckline, structured short sleeves and cropped shell top shape is designed to perfectly complement the Debra Skirt although would look just as striking if worn with a pair of more casual jeans. The Debra Top is available in white, black, beige and bright pink. There’s a style to suit any personality, and any mood. “I enjoy wearing an outfit with an overall look or feeling that represents how I feel that day, which means that my personal wardrobe is full of different personas on hangers” – Judith Hobby. Thirdly, Judith Hobby Clothing styles are so versatile. Judith has today’s busy woman in mind; high-flying executive, part-time grocery shopper, social butterfly, fashionista on a deadline. “I believe that helps me to design clothes that can be used through most roles in a woman’s life, be it going to the supermarket or out to dinner. Swop the sandals for heels and you are good to go!” – Judith Hobby. 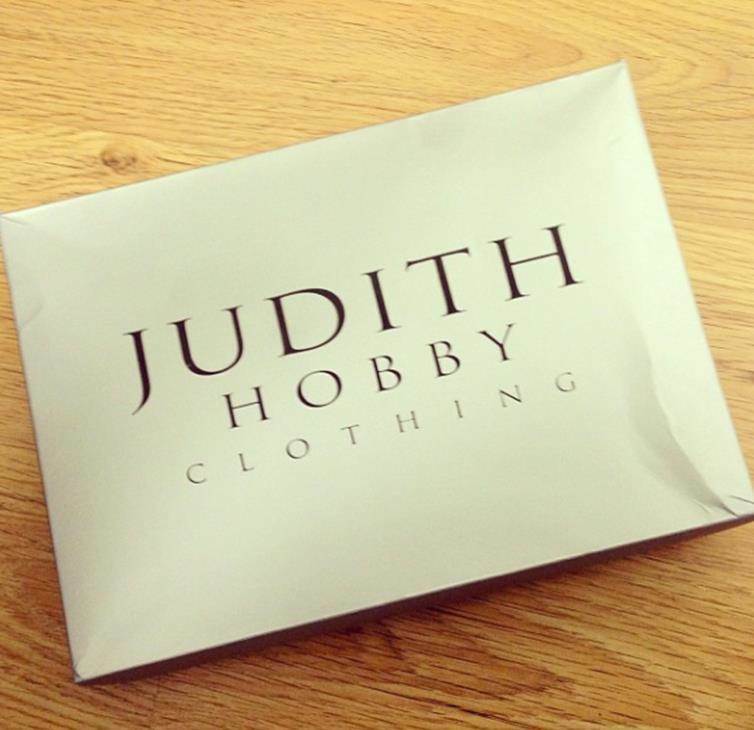 Judith Hobby Clothing can be bought online (I got my package in 2 days flat! ), or you can visit the studio at Dubai Studio City Tower. Happy shopping! Posted in Fashion News, Tezzy's Wardrobe and tagged dubai, dubai fashion, fashion, fashion news, Judith Hobby Clothing, SS 2015, UAE. Bookmark the permalink. Gorgeous isn’t it! Funky yet feminine.